Improving your website’s search engine rankings takes focused, on-going effort, so the last thing you should do is waste your energy following misguided beliefs. 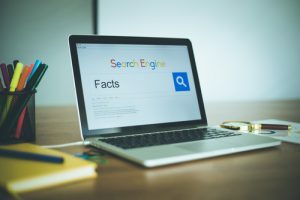 Get clear on today’s common SEO myths and you can get on with what actually matters. Over-using keywords is definitely a thing of the past, but keywords still affect your ranking. Nowadays, placement and context matter more than frequency. In a blog post about luxury multi-family housing, use variations of that term in your title tag, one or two headers, article body, and one link’s anchor text, but also include related terms such as “in-unit amenities” and “shared spaces.” Most likely, those terms will show up naturally as you write. Take time for keyword research, too. It helps you spot topics your audience wants to learn about. It’s true submitting your articles and links to general directories won’t help much, but backlinks from high-quality websites are as valuable as ever. If you specialize in office building construction, links from authoritative sites on commercial property investment, facilities managements, and related topics tell the search engines you’re an authority in your field. To get backlinks like this, reach out to website owners in non-competing businesses that share your audience. If you create a useful resource, such as a free video course, drop a line to website owners letting them know you have something that might benefit their readers. Ask the owners of popular blogs if they accept guest posts. Search engines pay little attention to backlinks from social media, but social media can help you get backlinks that do matter. Posting your work and interacting with your ideal prospects gets you in front of a wider audience. There’s a good chance some of those readers will find your work valuable enough to link to from their own sites, and it’s those links that boost your search engine ranking. Linkbuilding has been an important part of website promotion since the inception of the Internet. As old-school as it might sound, though, with the right approach, it’s just as useful now as it was years ago. The links pointing to your site are still a major ranking factor in most search engine’s algorithms, but the way those algorithms treat links is constantly evolving. A decade ago, you could buy links on any site, no matter how low quality, and those links counted in your favor. Since Google’s 2012 Penguin update, though, only links on high quality websites help you. So while spammers might consider linkbuilding dead, real businesses can still benefit. The more quality link your site gets, the higher it will rank and the more potential clients will find you when they search. The links you get should come from well designed, construction-related websites that host truly valuable content. If you specialize in shopping center construction, a link from a commercial property developers’ website will help you, but one from a women’s fashion directory won’t. If you do guest posting, aim for high-ranking, topic-focused blogs, not those that accept articles on anything from anyone. The method of using a robot to spam your link to every comment section and directory out there is definitely dead. To build valuable links nowadays, you’ll need to invest time in reaching out to other business owners, bloggers, and influencers. As you do, you’ll not only pick up links to your site, but you’ll also start building long-term relationships with professionals who can further promote your work. If you convince the owner of a blog for hospitality property developers to link to your in-depth post on wellness hotels, they might later decide to quote you or even interview you on the topic. From there, you might collaborate on content or even develop a referral agreement. 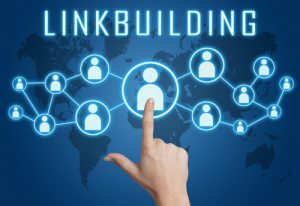 Posted on October 30, 2018 Author David MineerCategories NewsTags link building, linkbuilding, seo, website optimizationLeave a comment on Is Linkbuilding Dead?